iDevices continues to strengthen its hold on the marketplace where smart home solutions are concerned by coming up with the iDevices Dimmer Switch. If you have always wanted to make sure that your home ends up working smarter than ever before, there is no better way than to see what iDevices has on offer this time around. The iDevices Dimmer Switch would be the most recent addition to iDevices’ growing range of premium integrated products which will play nice with the Apple HomeKit, Amazon Alexa and the Google Assistant. Being the preeminent brand in the connected home industry certainly helps its cause as well, and it underlines the commitment that iDevices has made towards rolling out high quality, in-wall connected controls which will not only appear in the homes of DIY enthusiasts, but will also do its bit to make sure that builders and professional installers can offer more than just the normal to regular homeowners. What makes the iDevices Dimmer Switch all the more competitive is the fact that it stands to be the only hub-less smart switch which will play nice with Siri, Alexa and the Google Assistant, all rolled into a single, easy-to-use product. Home builders and professional installers are now able to fulfill the needs of customers who would like to build or upgrade their smart homes, regardless of the kind of platform or device that they use. The iDevices Dimmer Switch will team up with the likes of the iDevices Wall Switch, Wall Outlet, and Thermostat, forming the core offerings from iDevices when it comes to new construction as well as retrofit applications. 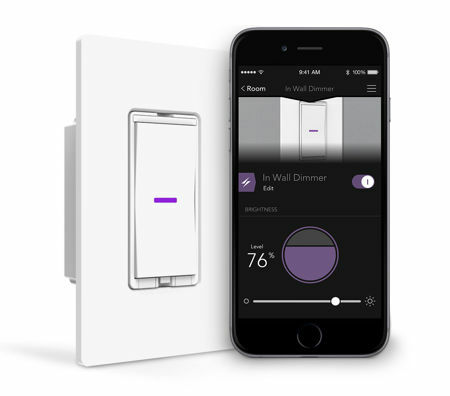 Some of the more unique features found in the iDevices Dimmer Switch include customizable dimming capabilities, being able to fit into the walls of just any home in order to partake in any home’s existing lighting system, a simple installation process, and even a customizable LED night light. The asking price for the iDevices Dimmer Switch stands at $99.95 apiece.